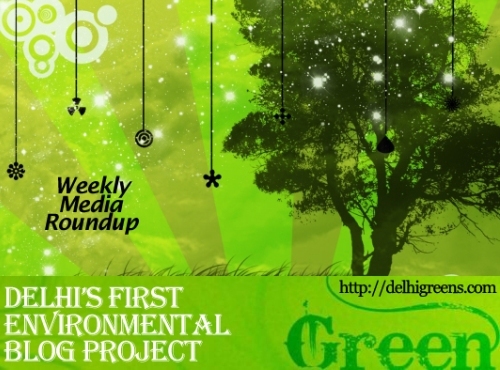 Weekly environmental news roundup from across different media networks for week 44 (starting October 29, 2012) 2012. The Delhi government has set a November 24 deadline for the enforcement of a blanket ban on the manufacture, import, sale, storage and use of plastic carry bags, sheets, films or tubs — irrespective of their thickness.. Worried over the declining number of gharials and crocodiles in its enclosures, the National Zoological Park -popularly known as the Delhi Zoo -has decided to provide them a safer and more conducive environment for breeding. Top environment department officials of the Delhi government on Tuesday gave a presentation before the Capital’s additional commissioners of police and sub-divisional magistrates on the effective enforcement of measures against noise pollution. A parliamentary committee has pulled up the environment ministry and directed it to properly monitor green clearances given to coal mining firms, particularly in states like Goa, ministry officials said. The city experienced shallow fog for the third consecutive day on Wednesday as still air and high moisture levels arising from Cyclone Nilam resulted in low visibility conditions almost through the day.